Jam is a real Italian restaurant. Come to try our homoemade pasta and enjoy your dinner on the wonderful terrace! Excellent Food, kind people, and beautiful place. A little bit of Italy in Spain. Great restaurant, good italian food. We enjoyed sitting in the swings outside. Definitely worth recommending! Gorgeous meals, staff are very friendly, and welcoming. Went there on a 30% off deal with 'The Fork' I was disappointed with the size of my main course. I had the Lasagne which was delicious but extremely small. Fabulous meal, real italian cooking. Friendly and helpful service.Great location and the swinging chairs are so much fun! The tiramisu is a work of art prepared at the table. I thoroughly recommend eating here whenever you can. Treated like second class citizens (at best) as a result of us having booked through thefork. 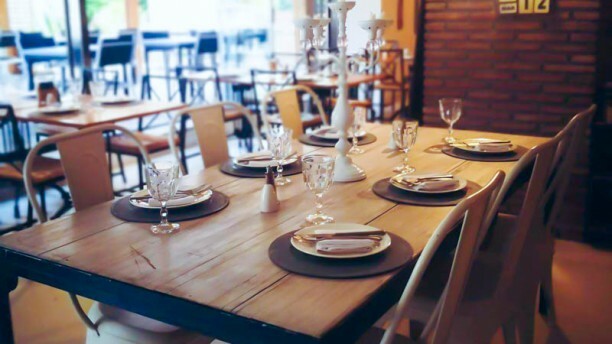 We were advised that we could only have a table in the main body of the restaurant on the basis that we would not have the benefit of the discount offered through your website. A really unpleasant experience and we simply won't be returning. Nice pizza and a beer. Average price for Banus pleasant atmosphere. Great italien cooking and Excellent service! It's a real Italian restaurant. The cuisine is authentic Italian. The pasta is as it should be: all dente and home made. A really nice place with swing seats! Food was good, service was really good and the bill very reasonable. Would definitely recommend it and we’ll be back the next time we’re in Banus. A very friendly and hospitable restaurant. The waiters were very attentive and polite. The food was very good too. We had the steak and margarita pizza. It was a lovely evening and they have us a discount via trip advisor. This was a very pleasant surprise. To end the email the coffees and Irish coffee were most very impressive. Nice meal, starter and dessert particularly nice. Nice laid back restaurant, with swing seats. Would have liked to have seen a specials board and also some bread and oil/balsamic to start the meal. Surprised this was lacking given the restaurant charge a €2 a head service charge. Food was good. Spaghetti carbonara could have been warmer but it was very tasty. Definitely will return .